Understanding the dynamics of vehicles is a major issue in smart cities evolution. Impacts are preponderant in user guidance, fuel consumption, pollution, but also in instrumentation efforts to deploy the infrastructures of communication. Most intelligent transportation systems concentrate on macro-mobility with centralized decisions and global optimizations for whole cities. With the great development of autonomous cars and vehicle-to-vehicule communication systems, micro-mobility is again of special importance for opportunistic data dissemination and local decisions - for instance when arriving at traffic lights or when vehicles meet. We believe in the strong integration of the two approaches - hybrid decentralized ITS. Simulation tools are widely used to evaluate assumption correctness and performances of optimization algorithms. Several macroscopic vehicular mobility trace exist, but few detailed ones at the microscopic level. Most of macro traces integrate simplistic models for intersections and roundabout, while the complexity of this fine-grained mobility can greatly affect the global optimization. For that purpose, we propose a dataset describing a complex roundabout in Creteil, France. The vehicular mobility dataset is mainly based on the real data collected by the General Departmental Council of Val de Marne (94) in France. The General Departmental Council of Val de Marne is a regional agency in charge - amongst other activities - of the transportation systems. the traffic assignment of the vehicular flows is performed by Gawron’s dynamic user assignment algorithm, included in the SUMO – Simulation of Urban MObility - simulator. Microscopic vehicular mobility trace of Europarc roundabout, Creteil, France by Marie-Ange Lèbre, Frédéric Le Mouël is licensed under a Creative Commons Attribution-NonCommercial 4.0 International License. The trace contains in each line the time (1-second granularity), the vehicle slope (not used), the vehicle lane, the vehicle angle, the vehicle type (vehicle or bus), the vehicle position, the vehicle coordinates on the two-dimensional plane (x and y coordinates in meters), the vehicle speed (in meters per second), and the vehicle id. The trace is in CSV format, zipped. Marie-Ange Lèbre, Frédéric Le Mouël, Eric Ménard. "On the Importance of Real Data for Microscopic Urban Vehicular Mobility Trace". In Proceedings of the 14th International Conference on ITS Telecommunications (ITST'2015), Copenhagen, Denmark, December 2015. Marie-Ange Lèbre, Frédéric Le Mouël, Eric Ménard. "Microscopic vehicular mobility trace of Europarc roundabout, Creteil, France", April, 2015. M.-A. Lèbre, F. Le Mouël, and E. Ménard. "Resilient, Decentralized V2V Online Stop-free Strategy in a Complex Roundabout". In Proceedings of the IEEE 83rd Vehicular Technology Conference (VTC'2016-Spring), Nanjing, China, May 2016. M.-A. Lèbre, F. Le Mouël, and E. Ménard, A. Garnault, B. Bradaï, and V. Picron. "Real scenario and simulations on GLOSA traffic light system for reduced CO2 emissions, waiting time and travel time". In Proceedings of the 22th Intelligent Transport Systems and Services World Congress (ITS World Congress'2015), Bordeaux, France, October 2015. M.-A. Lèbre, F. Le Mouël, and E. Ménard. "Partial and Local Knowledge for Global Efficiency of Urban Vehicular Traffic". In Proceedings of the IEEE 82nd Vehicular Technology Conference (VTC'2015-Fall), Boston, USA, September 2015. This research results from a joint work between an academic partner - the University of Lyon, INSA Lyon, INRIA CITI Lab, Dynamid team - and an industrial partner - the Valeo Group. Many thanks to the General Departmental Council of Val de Marne for their support to the real data collecting. CITI is an academic laboratory associated with INSA Lyon and INRIA. 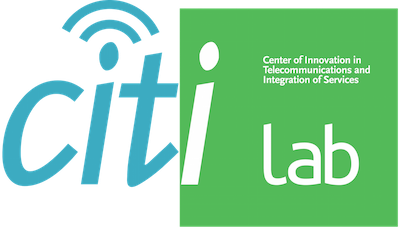 The CITI Laboratory develops research activities bringing together computer science, networking, and digital communications to address the challenging issues related to the development of Internet. This world scale network offers a seamless communication path between heterogeneous nodes (persons,objects, sensors, phones,...) in an heterogeneous architecture including wireless access, offering mobility, ubiquity and adaptability. Independent group, Valeo is fully focused on the design, production and sale of components, integrated systems and modules for the automotive industry. Valeo is an automotive supplier, partner to all automakers worldwide. As a technology company, Valeo proposes innovative products and systems that contribute to the reduction of CO2 emissions and to the development of intuitive driving. Val-de-Marne is a department in the Central Northern part of France. Sharing its boundaries with Paris, it is defined as the close South East suburbs of the French capital. It spreads on 245 sq.kms, and is one of the most densely populated areas in France. (50009 inh./km2). Many rail and road transportation networks (underground, Regional Express Rail Network :‘RER’ ) crisscross the department, situated in the heart of the Paris Basin. In the South of the department lies Orly Airport, second national airport. The major jurisdiction attributed is social action. More than half of the General Departmental Council budget is dedicated to social actions (health, childhood, family, elderly). However, the social sector is not the only duty of the council. Actually, the General Departmental Council employs 6000 agents working in the fields of education, road maintenance, economic development.